Historically, Chinese property investors have made purchases in popular locations such as Sydney, London and Hong Kong. As time has progressed, however, we are seeing a shift in purchasing trends. In recent years, Thailand is becoming an increasingly popular destination for both Chinese property investors and those looking to purchase a holiday home. In 2016, Thailand was ranked No. 6 for Chinese real estate purchases, but 2017 stats show that the country has risen to 3rd. What accounts for this change in taste? Why has Thailand and Bangkok become the location of choice for Chinese property buyers? To start with, Thailand is undoubtedly a magnificent holiday destination. 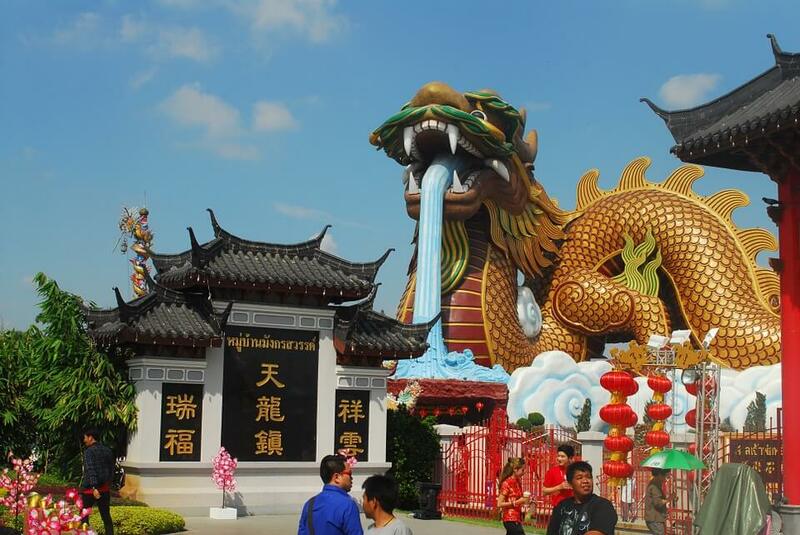 The Chinese account for close to a third of Thailand’s 35 million tourists on an annual basis. Thailand benefits from a favourable climate, superb resorts, world-renowned food, heaps of culture and some amazing beaches – the Chinese simply love it! One potential factor is undoubtedly the current uncertainty in other countries. Chinese investors tend to be price conscious and are avidly aware of political and economic situations around the world. London has long been a popular investment location for the Chinese for example, but the UK is experiencing economic uncertainty due to its choice to leave the European Union. Furthermore, both the British Pound and Euro have taken a dip and do not currently hold as much value as they did in previous years. Another important factor is the consensus that property prices in Thailand remain favourable as prices in other countries continue to rise. It is generally accepted that you can get more for your money in Thailand and major hubs such as Bangkok, Phuket and Chiang Mai have some fantastic investment opportunities. For anywhere between approximately 85,000 USD to 150,000 USD, you can purchase a fantastic condo in the centre of Bangkok for example with superb amenities and décor; the same level and quality of property is simply not as readily available in other countries. Some prices for small spaces can be as low as $35,000. This is simply not possible in South East Asia’s other major cities. In recent years, China has experienced a boom in property prices. Whilst this has proved beneficial for those who bought property in the country before the boom; those who are looking to invest now are less than impressed. Although growth in the property market appears to be slowing down, prices still remain high in comparison to valuations pre-2015 for example. In short, this means that there is less incentive to purchase property in China. Will this trend continue into the future? There is no reason why this trend should falter in the future. As the Thai government continues to invest and improve the property purchasing process for foreigners, things should only improve. Furthermore, as cities such as Bangkok, Pattaya and Phuket continue to develop and expand their property offerings, the Chinese will still have a valid reason to invest here. Interested in learning more about the Thailand property market? Contact Find Thai Property today – tailored support for overseas property buyers in all of Thailand’s major real estate hotspots.